Andrea Bellino is application engineer in Bartec Syscom, Swiss company leader in seismographs for vibration and seismic monitoring of civil structures. Andrea plays different roles: commercial, marketing, project management and product development. 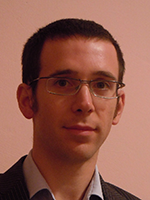 Andrea achieved the Master degree in Mathematical Engineering at the Politecnico di Torino, and in the same university he achieved the PhD in Mechanical Engineering, focusing mainly on vibration measurements both in mechanical and civil domain. In the PhD thesis he presented new techniques to estimate rock discontinuities during the tunnel excavation with seismic methods. Andrea is author of 11 articles on international journals of vibration and geophysics. 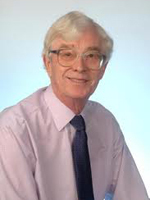 John Burland is Emeritus Professor and Senior Research Investigator at Imperial College London. In addition to being very active in teaching and research, he has been responsible for the design and monitoring of many large ground engineering projects world-wide. He was London Underground’s expert witness for the Parliamentary Select Committees on the Jubilee Line Extension and has advised on many geotechnical aspects of that project, including ensuring the stability of the Big Ben Clock Tower. He was a member of the Italian Prime Minister’s Commission for stabilising the Leaning Tower of Pisa. 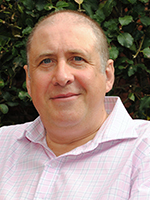 Martin is a joint Founding Director of Geosense Ltd, a UK company specialising in the manufacture of vibrating wire and MEMS sensors plus automated and wireless data acquisition systems. He has a B.Sc. (Hons) in Geology and Soil Science from Reading University and began a Masters degree in Foundation Engineering at Birmingham University before being offered a position with an international construction group. With 37 years experience in geotechnical and construction projects in the UK, Europe, the Middle and Far East, he has since 1992 been instrumental in the development of Geosense and its sister company Marton Geotechnical Services Ltd. He is an Industry Partner in Cambridge University’s Cambridge Centre for Smart Infrastructure (CSIC) and also attends bi-annual meetings of ISO/TC 182/WG2, a working group looking at ways to standardise geotechnical monitoring by field instruments. Vincent Lamour is the Founder and Technical Director of Cementys Group based in Paris and Houston. He is specialized in thermo-hydro-mechanical behavior of concrete structures. Passionate about service life extension of ageing infrastructures, Vincent develops and markets innovative optical fiber sensing solutions in order to optimize maintenance based on measurement and risk engineering. Graduate of Ecole Normale Supérieure, Vincent Lamour founded Cementys in 2008 after fifteen years of experience in the construction industry (R&D engineer at Lafarge) and academic research (Researcher at UC Berkeley, Associate Professor at the ENS Cachan). In 2014, Vincent Lamour received the Montgolfier Prize from the French Industry National Association (SEIN). In 2016, he received the regional Projects, Facilities and Construction Award from the Society of Petroleum Engineers. 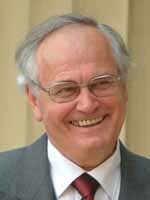 Werner Lienhart is Full Professor and Head of the Institute of Engineering Geodesy and Measurement Systems (IGMS) at Graz University of Technology (Austria). At IGMS Werner and his team develop new geodetic and fibre optic sensors and operate several permanent monitoring installations of landslides and critical infrastructure objects like bridges, tunnels and water dams. Prior to his university position, Werner was product manager at Leica Geosystems at the headquarter in Switzerland. At Leica he was responsible for the development of the Galileo and GPS L5 capable receivers and the Leica imaging total stations. 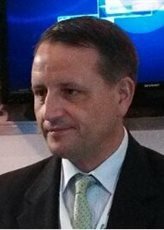 Werner has published more than 70 scientific publications, holds several patents and is Vice-President of the Austrian Geodetic Commission. 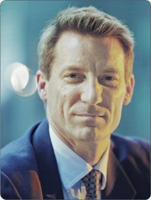 Angus Maxwell is the founding Director of Maxwell Geosystems Ltd. providing data management systems and data solution services to the construction industry globally. He is a Chartered Engineering Geologist with twenty-six years of experience in geotechnical design and construction working on major projects in the UK, Europe, Australia, Singapore and Hong Kong. During the last 25 years Maxwell systems have monitored over 250km of tunnel using a variety of techniques, 100km of road construction in cutting and embankment, over 50 shafts and over 200 sq. km of reclamation and land formation. The Maxwell Geosystems MissionOS platform manages big data across the whole timeline of infrastructure development and maintenance. It provides the tools to allow engineers to focus on analysis of data in a rapidly changing cloud based collaborative environment resulting in better more informed decisions. He has lectured on Tunnelling and Underground space on the Hong Kong University MSc course on Applied Geosciences and is immediate past Chairman of the Association of Geotechnical Specialists Hong Kong and a past committee member of the Tunnelling and Underground Construction Society Singapore. Daniel Naterop is General Manager and management board member, project manager and consulting for geotechnical monitoring, acquisition, Sisgeo exclusive representative for Austria, Belarus, Belgium, Denmark, Estonia Finland, Germany, Hungary, Iceland, Latvia, Lithuania, Luxembourg, Netherlands, Norway, Slovakia, Sweden and Switzerland. Graduated in Civil engineering technical designer Elektrowatt (presently Pöyry) Switzerland, Daniel participated in large infrastructure civil engineering projects (Tunnels, pipelines, large structures). 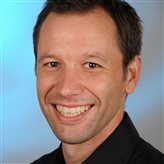 He worked for Solexperts AG, Switzerland, and he was Project manager for development of the Solexperts GeoMonitor automatic data acquisition and monitoring system and Solexperts WebDAVIS data visualisation software. He has been also lecturer for geotechnical instrumentation at seminars, conferences, courses and workshops in all the world. 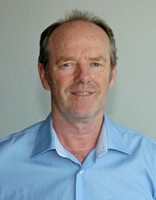 From July 2013, he is an important member of Sisgeo International in Switzerland: technical support at Sisgeo research and development of systems, for system application of borehole instrumentation. Daniel has published more than 30 scientific publications. Originally qualified as an electronics engineer, Iain went on to assist in the development of military mobile digital and modular wide area networks specialising in cryptography before moving on to the management of a nationwide secure communications network in the UK. In 1997 he joined Campbell Scientific and has worked as Senior Applications Engineer gathering extensive experience in the design, instrumentation and commissioning of various geotechnical, industrial and meteorological data acquisition systems. Working closely with engineers, academics and analysts, Iain provides technical, diagnostic and operational support, sometimes putting on his hard hat and hi-vis when the occasion warrants it. 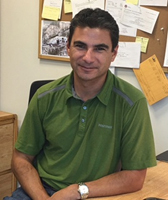 Ty manages the Colorado Department of Transportation (CDOT) Geohazards Program. He has been with CDOT for over 16 years. He came to CDOT after 10 years with the Colorado Geological Survey where he developed an interest in geological hazards while working on the final link of the US Interstate System, I-70 through Glenwood Canyon. He began his CDOT career evaluating and designing rockfall mitigation and is CDOT’s first responder for rockfall and other geohazard emergencies. As the U.S. industry interests have expanded to incorporate risk based asset management concepts in highway management he led the team that developed CDOT’s Geohazards Management Plan. His current undertaking is to develop a remote sensing program that uses monitoring data to support project selection and direct slope mitigation work. Fabien is Omnisens Group manager for Latin America activities and General Manager of Omnisens do Brasil. Since he joined Omnisens in 2007, he has been focusing on the development, the implementation and the promotion of distributed fiber optic sensing technologies in onshore and offshore energy infrastructures. 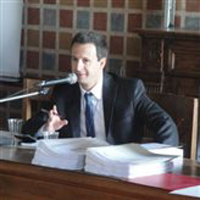 Fabien Ravet received the Ph.D. degree in physics from the University of Ottawa, Canada, in 2007. His doctoral thesis covered the study of Brillouin scattering fundamentals, its application to distributed sensing and its implementation to monitor concrete/FRP column deformations as well as pipe buckling development. Fabien has over 20 years of experience in optical fiber technology and instrumentation. He built his expertise through several projects involving sensing and communication industries. More specifically, in the past eight years he has contributed to the development of the geotechnical monitoring of pipelines in tropical and seismic areas. 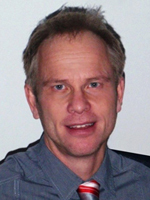 Fabien is author of more than 90 publications in peer reviewed journals and international conferences. 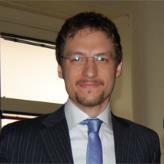 Alfredo Rocca is project manager of NHAZCA S.r.l., spin off of the “Sapienza” University of Rome. He received the Master in Engineering Geology in 2010 and the PhD in Earth Sciences in 2014 at the “Sapienza” University of Rome. 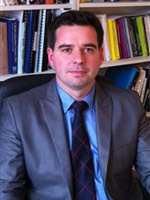 In the framework of his PhD (focused on the application of satellite SAR Interferometry), he collaborated with the European Space Research Institute of the European Space Agency (ESA) and in 2012 he was visitor researcher at the Institute of Space and Earth Information Sciences (ISEIS) of the Chinese University of Hong Kong (Hong Kong – SAR). As project manager of NHAZCA, Alfredo has been involved in several projects, in particular relating to the application of radar interferometry to geotechnical and structural monitoring for unstable slopes, subsidence, mining, oil & gas and large infrastructures. Alfredo is author of about 15 scientific papers in journals and proceedings of international conference on geology and remote sensing. Professor Su Taylor is the Dean of Research for the Faculty of Engineering and Physical Science and Head of the Intelligent Infrastructure Research group in the School of Natural and Built Environment at Queens university Belfast, a multi-disciplinary group of 33 Academic Staff with associated researchers; including the Intelligent Infrastructure group. 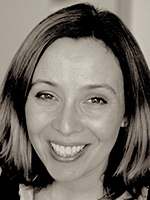 She is an elected Council member of ISHMII and has a track record of delivering research in SHM via funding from FP7 Marie Curie, USA-Ireland Platform, EPSRC, InnovateUK Knowledge Transfer Partnerships. A prioritisation of her research is to safeguard the integrity of our built environment, by advancing the area of intelligent sensing technologies, post-processing and filtering techniques. She is also the Technical Director of the University Spin-out company Sengenia Ltd. which came about as a result of collaborative research with the Optical Group at City University London. She was recently Awarded the UK Academic Ambassador for Knowledge Transfer, out of 1000 UK Academic involved in KTP and in recognition of the impact of her research in SHM.